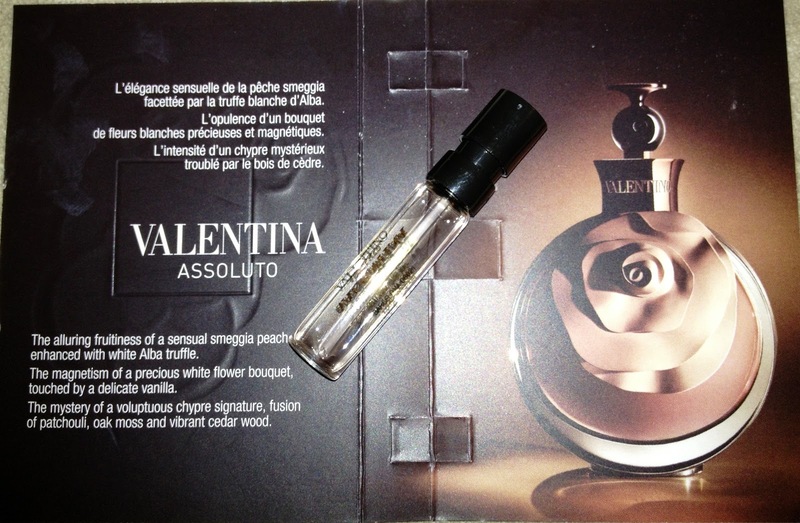 New for 2012 Valentina Assoluto is a variant on the Valentina theme and is described as a more seductive,sensual and sophisticated perfume than the original Valentina which was more floral based. I haven't actually tried the original Valentino so am not able to make a comparison of the two scents. 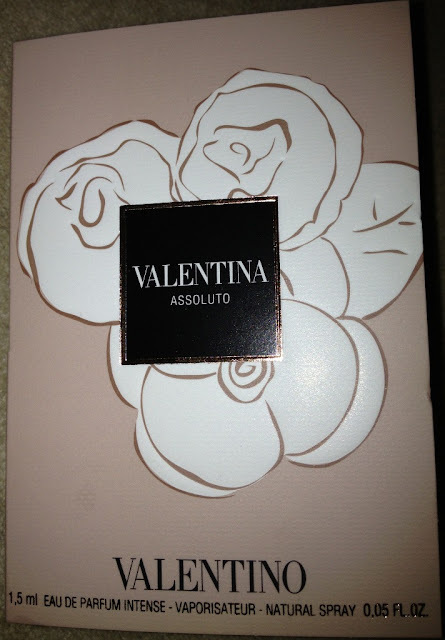 I have been wearing Valentino Valentina Assoluto all weekend. If I am honest I would say that I think that I works far better worn as an evening perfume than as a day one, purely as it is quite intense and warm with a real trail of depth. This eau de parfum is elegant and grown up, I find the top notes sweet and the floral bouquet light but the vanilla comes through beautifully. As it fades the sweetness disappears to leave a sensual and woody scent that is refined.. Although the scent is quite intense I don't think that it lingers all that well on my skin but remains on clothing longer. The bottle is pretty and feminine. Valentino Valentina Assoluto Eau de Parfum costs £61 for 50ml.